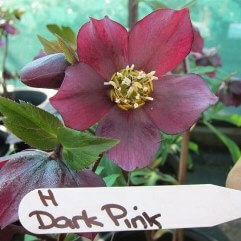 Hybridising (deliberate and accidental) between H. orientalis and several other closely-related species and subspecies has vastly improved the colour-range of the flowers, which now extends from slate grey, near-black, deep purple and plum, through rich red and pinks to yellow, white and green. 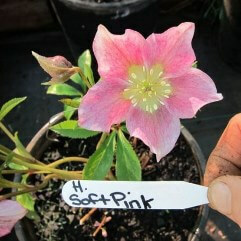 The outer surface of the sepals is often green-tinged, and as the flower ages it usually becomes greener inside and out; individual flowers often remain on the plant for a month or more. 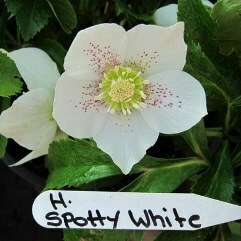 The inner surface of each sepal may be marked with veins, or dotted or blotched with pink, red or purple. 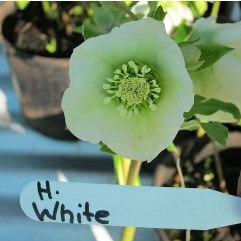 'Picotee' flowers, whose pale-coloured sepals have narrow margins of a darker colour, are much sought-after, as are those with dark nectaries which contrast with the outer sepals. 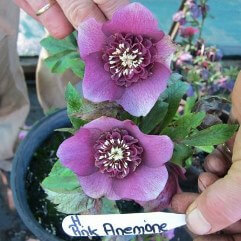 Recent breeding programs have also created double-flowered and anemone-centered plants. 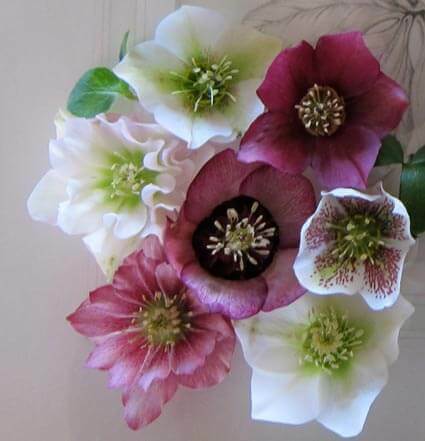 Ironically, doing this is actually reversing the evolutionary process in which hellebores' true petals had been modified into nectaries; it is usually these nectaries which become the extra petals in double, semi-double and anemone-centered flowers. 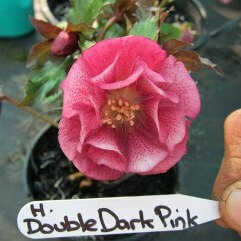 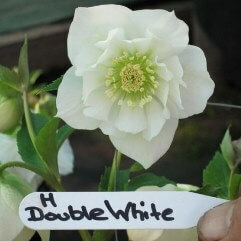 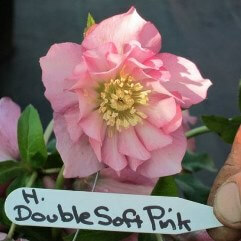 Double hellebores provide a very interesting variation to the standard hellebore. 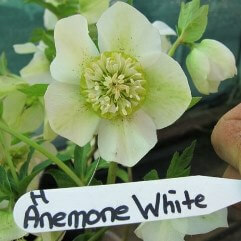 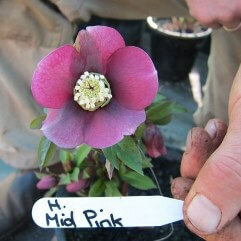 They are generally easy to maintain and share the same planting conditions as the standard hellebore.